Decora Coaster Set. Frame coasters. 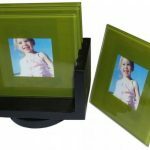 Includes 4 olive green glass coasters with revolving solid wood holder. Stainless Steel backing. Frame stands on its own. 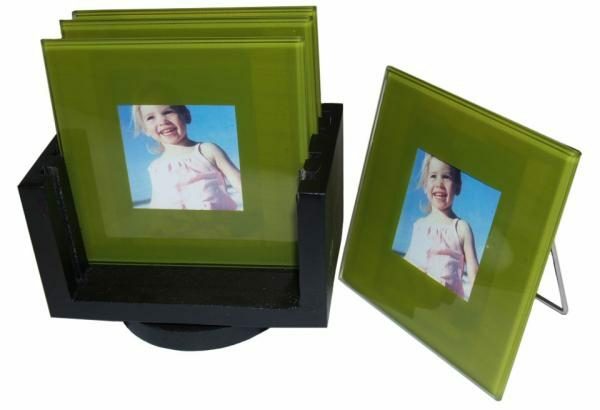 Displays your favourite photos. High quality bevelled glass. Non-skid bumpers on back to protect surfaces. Packed in presentation box.